Since 1999, Calgary has trusted Barker’s Fine Dry Cleaning to clean simple tees to fine designer garments. We painstakingly combine modern technology and careful hand cleaning to provide you with finest quality and service. At Barker’s Fine Dry Cleaning, we specialize in laundered shirt service. 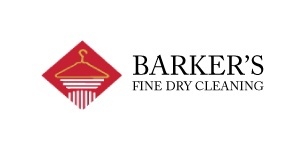 Our friendly, knowledgeable garment experts at Barker’s Fine Dry Cleaning are here to assist you with all your dry cleaning needs and garment care. Once your clothes are left in our hands, we can assure you that they will be carefully inspected and handled from start to finish. Your clothes will be returned to you packaged, cleaned and ready to wear. We guarantee that you will look and feel great with your cleaned clothes from Barker’s. Our complimentary pick-up and delivery services provide the convenience Calgarians could not live without.